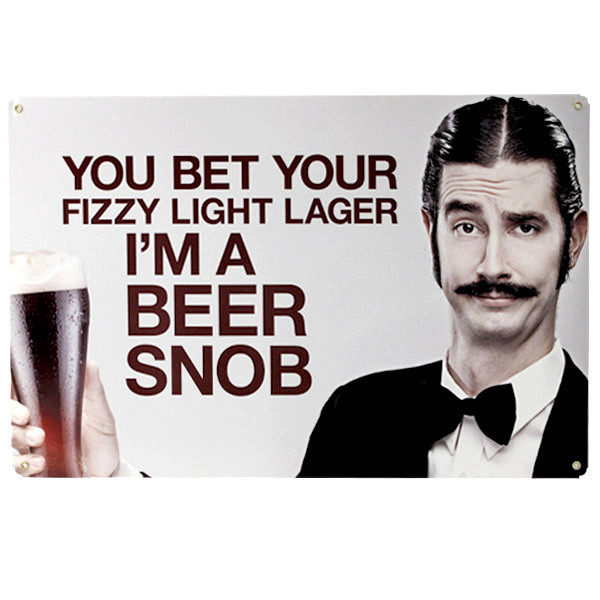 There is a segment in the good beer fraternity who enjoy being called a beer snob. In fact they will even refer to themselves by that tag. And it’s always broken my heart. As long as I’ve been a beer fan I hoped that we wouldn’t go down the same road as wine, which is a beverage renowned for snobbish behaviour, for people looking down their nose at others. But we’ve definitely gotten there.Given the negative connotations surrounding the word ‘‘snob’’, I could never understand why anyone would want to be known as one. Also, as someone who likes the English language and likes to see it used properly, nor could I understand why people thought being a snob was some indication that you have better tastes. See, the common thread in the definition of snob is not a discerning taste, but a habit of being nasty and cruel to people. It’s this cruelness that defines a snob, not any claim to rarified tastes. So you call yourself a beer snob, it really just means you’re nasty.